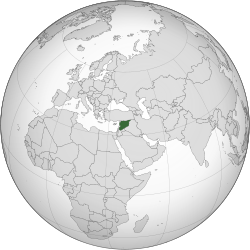 Damascus is the capital of the Syrian Arab Republic; it is also the country's largest city, following the decline in population of Aleppo due to the battle for the city. It is colloquially known in Syria as ash-Sham and titled the City of Jasmine. In addition to being one of the oldest continuously inhabited cities in the world,Damascus is a major cultural center of the Levant and the Arab world. The city has an estimated population of 1,711,000 as of 2009. Aleppo is a city in Syria, serving as the capital of the Aleppo Governorate, the most populous Syrian governorate.With an official population of 4.6 million in 2010, Aleppo was the largest Syrian city before the Syrian Civil War; however, now Aleppo is probably the second-largest city in Syria after the capital Damascus. Aleppo is one of the oldest continuously inhabited cities in the world; it may have been inhabited since the 6th millennium BC. Excavations at Tell as-Sawda and Tell al-Ansari, just south of the old city of Aleppo, show that the area was occupied by Amorites since at least the latter part of the 3rd millennium BC. This is also when Aleppo is first mentioned in cuneiform tablets unearthed in Ebla and Mesopotamia, in which it is a part of the Amorite state of Yamhad, and is noted for its commercial and military proficiency. Such a long history is attributed to its strategic location as a trading center midway between the Mediterranean Sea and Mesopotamia. Latakia , also spelled Lattakia or Latakiyah, is the principal port city of Syria, as well as the capital of the Latakia Governorate. 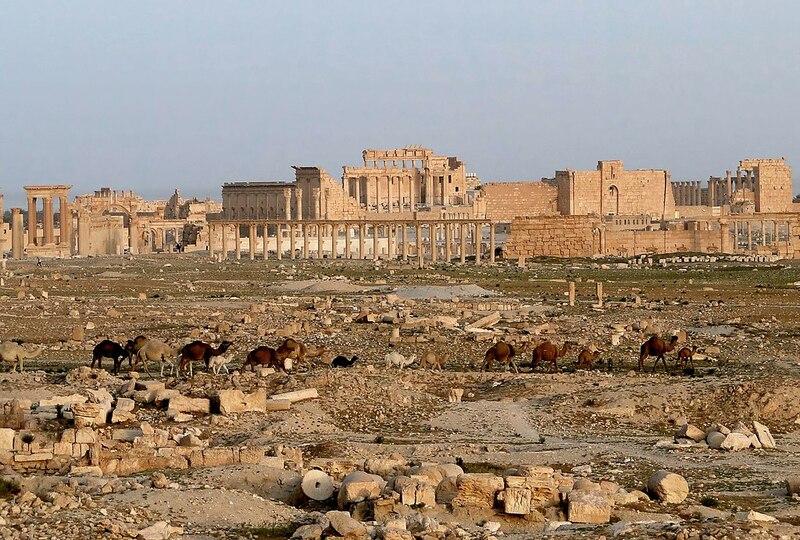 Historically, it has also been known as Laodicea in Syria or Laodicea ad Mare. In addition to serving as a port, the city is a manufacturing center for surrounding agricultural towns and villages. According to the 2004 official census, the population of the city is 383,786, Its population greatly increased as a result of the ongoing Syrian Civil War due to the influx of refugees from rebel and terrorist held areas. It is the 4th-largest city in Syria after Aleppo, Damascus and Homs, and it borders Tartus to the south, Hama to the east, and Idlib to the north while Cape Apostolos Andreas, the most north-eastern tip of Cyprus is about 68 miles (109 km) away. Deir ez-Zor is the largest city in eastern Syria and the seventh largest in the country. Located 450 km (280 mi) to the northeast of the capital Damascus on the shores of the Euphrates River, Deir ez-Zor is the capital of the Deir ez-Zor Governorate. In the 2004 census, it had a population of 211,857 people. Palmyra is an ancient Semitic city in present-day Homs Governorate, Syria. Archaeological finds date back to the Neolithic period, and documents first mention the city in the early second millennium BC. Palmyra changed hands on a number of occasions between different empires before becoming a subject of the Roman Empire in the first century AD.